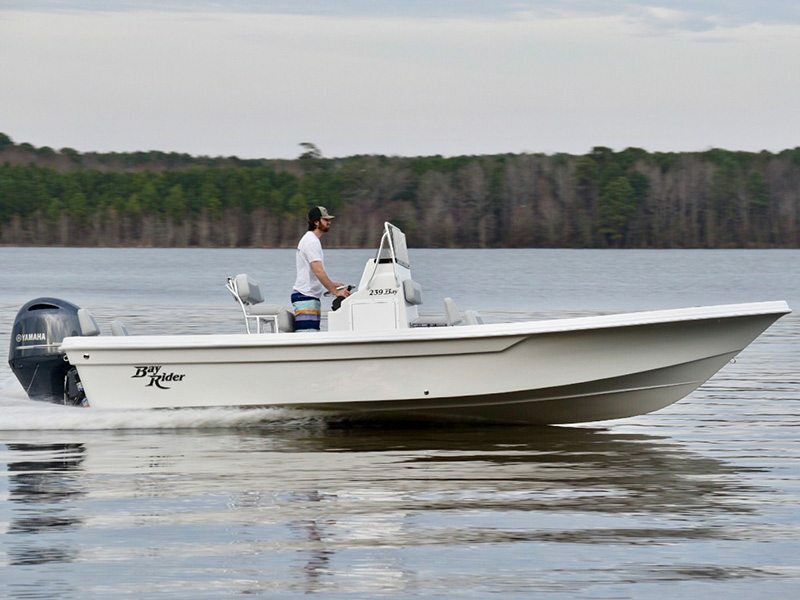 Our Bay Series boats are built to the exact same standards as our Bay Rider models with a focus on inshore and nearshore fishing. 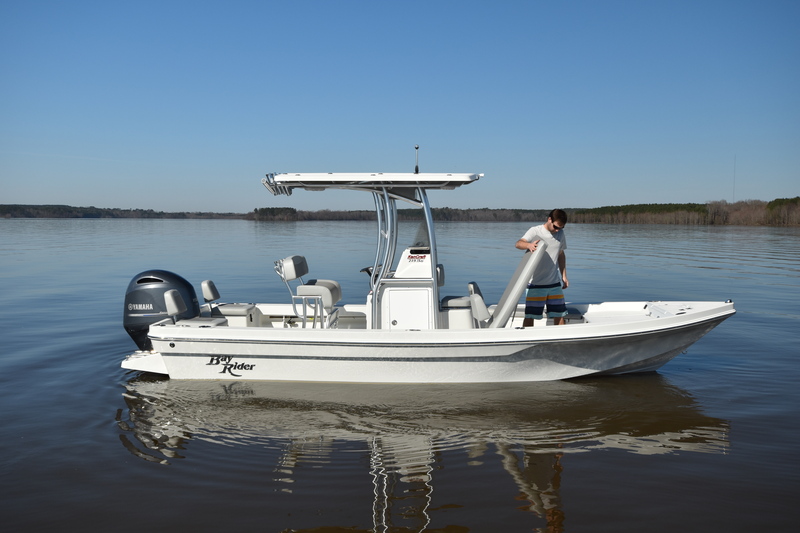 Whether it is redfish or drum, catfish or stripers, the Bay Series models are designed for the serious angler with the features you expect. 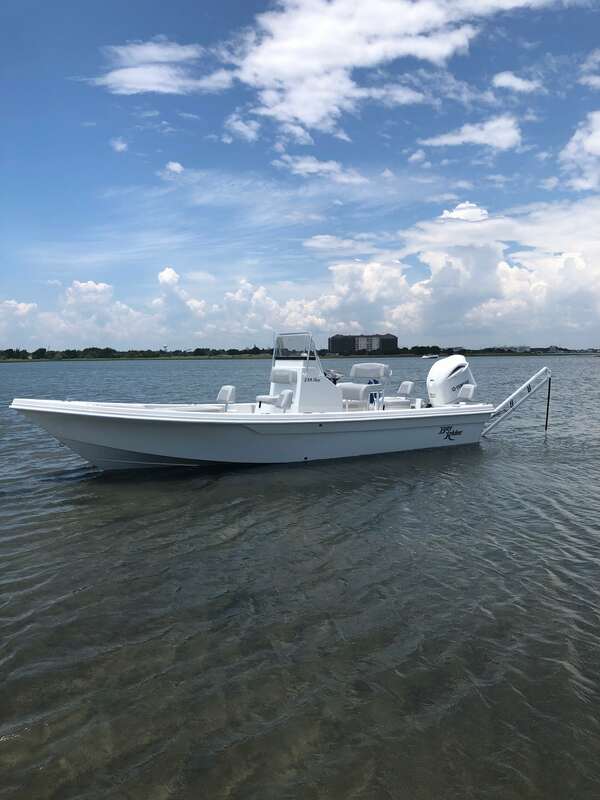 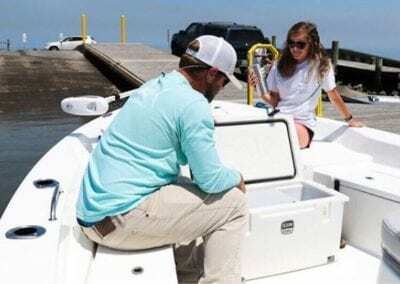 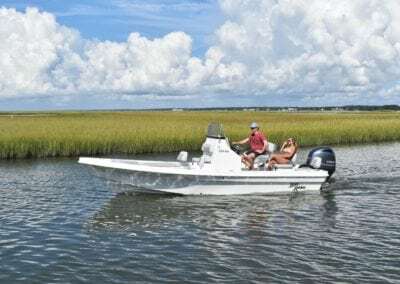 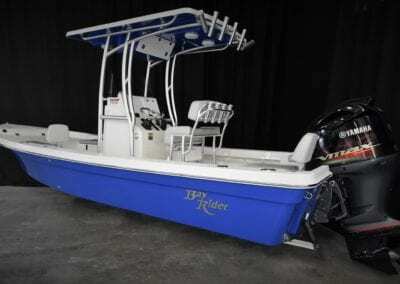 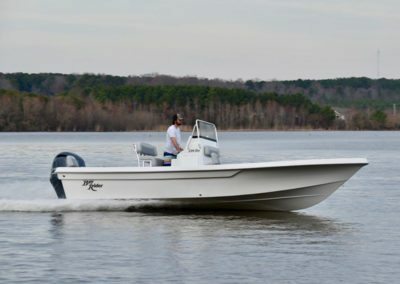 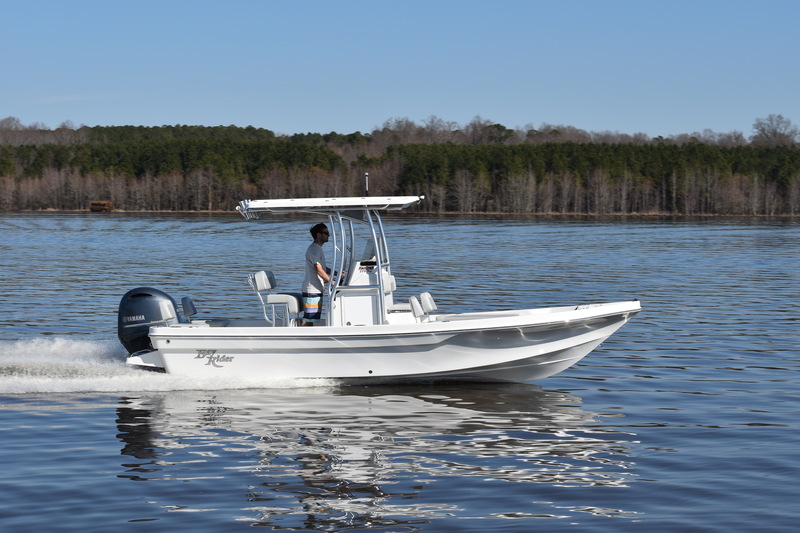 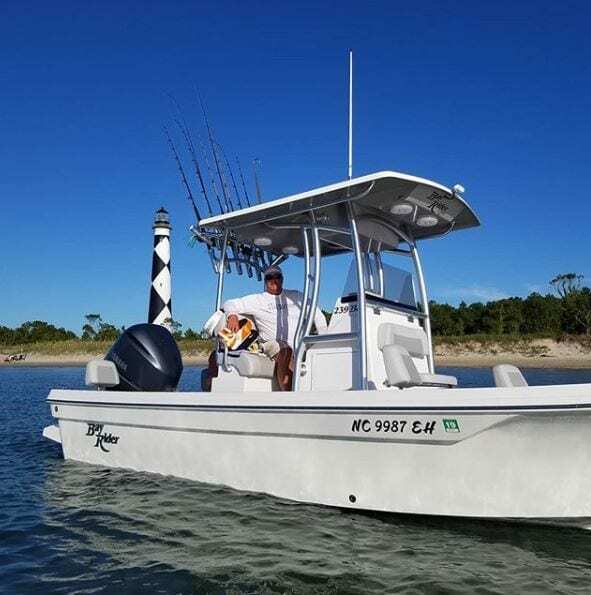 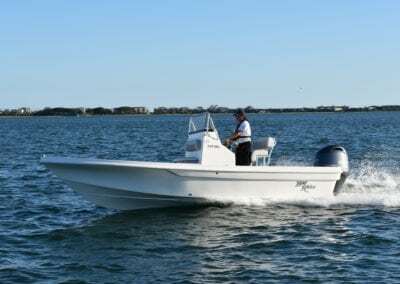 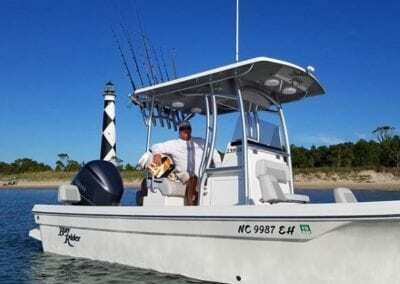 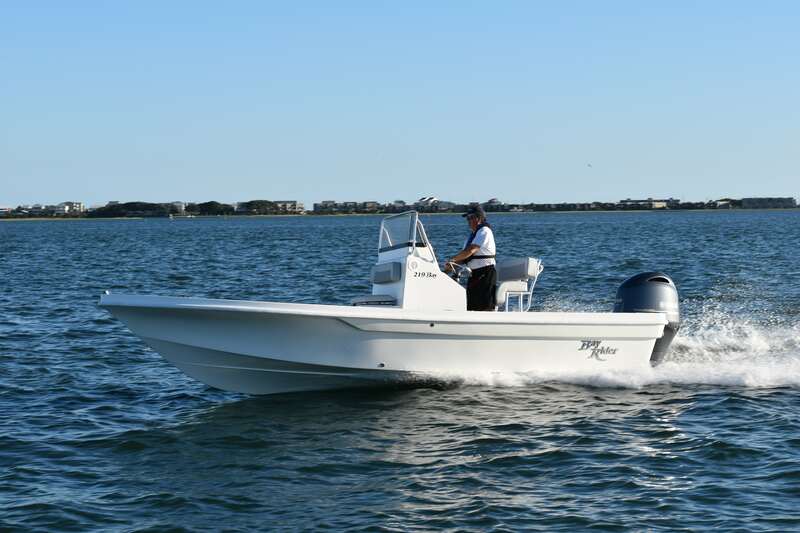 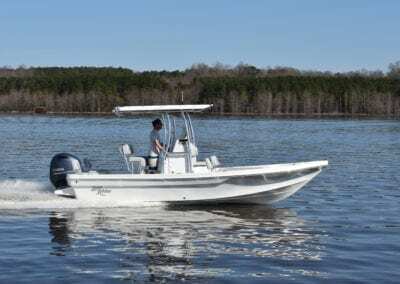 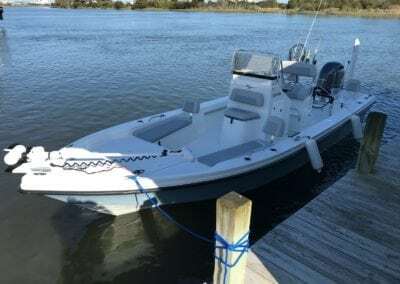 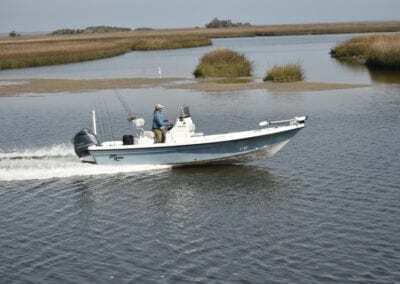 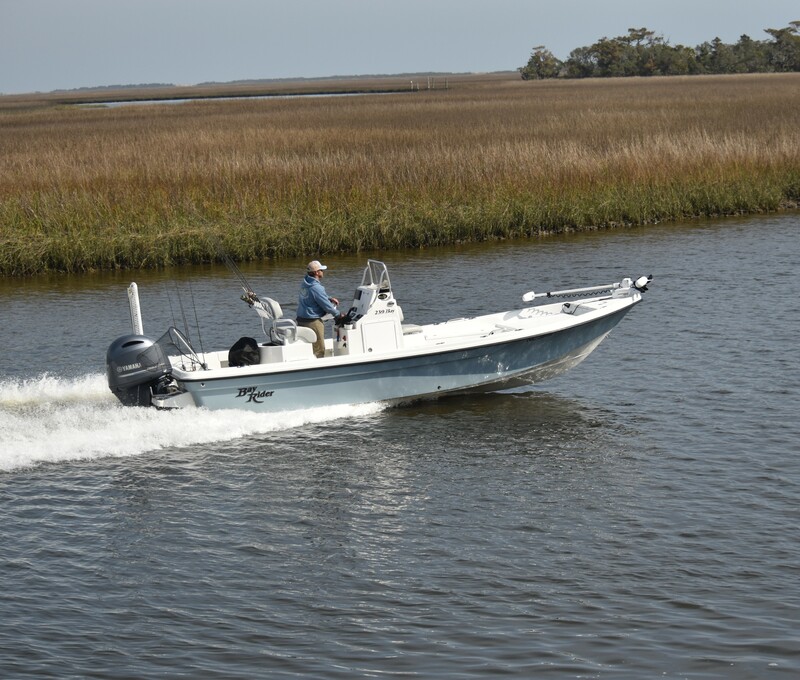 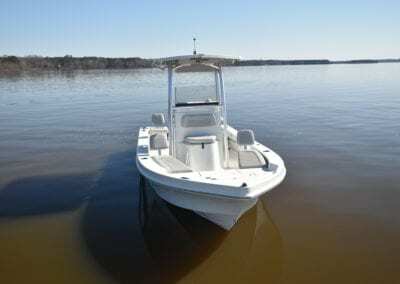 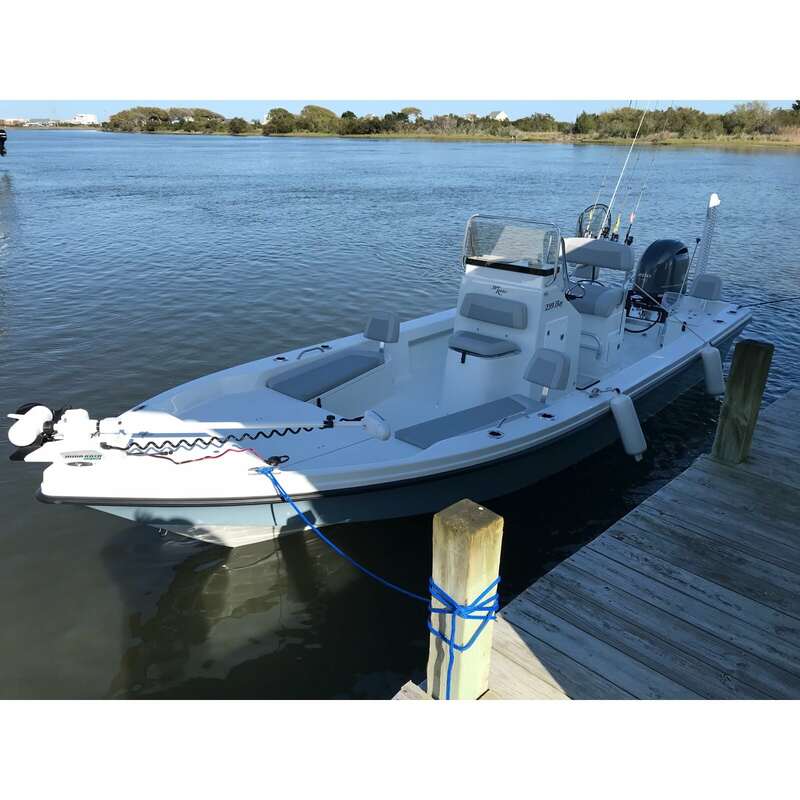 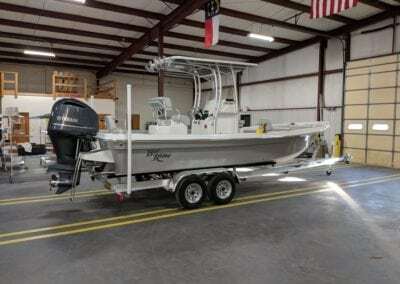 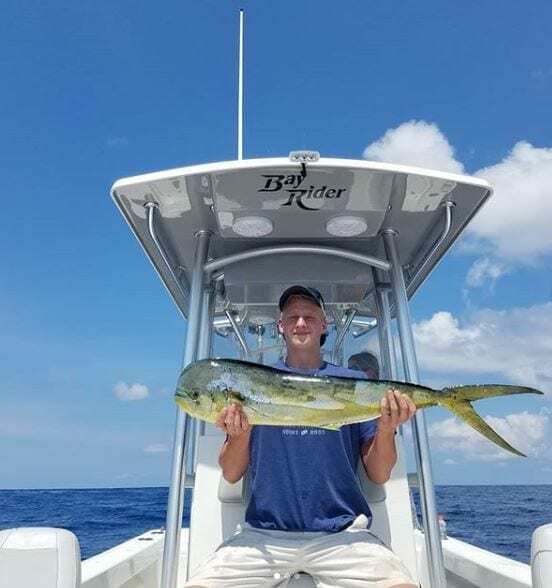 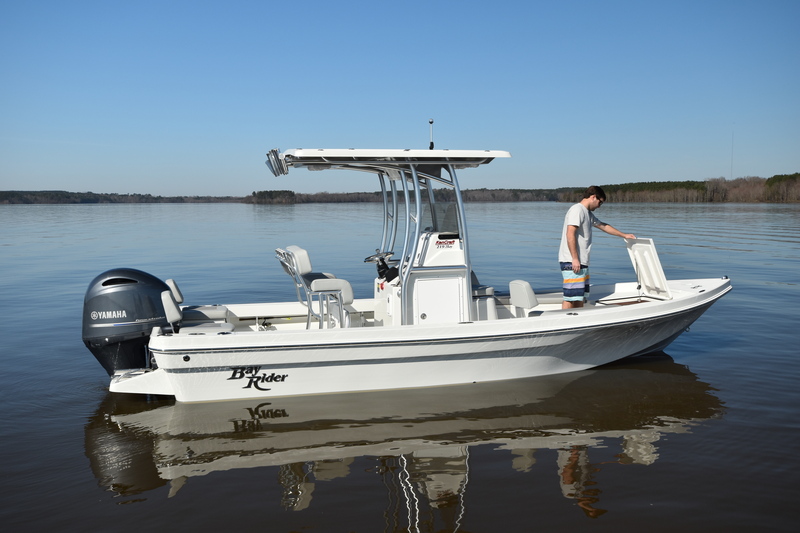 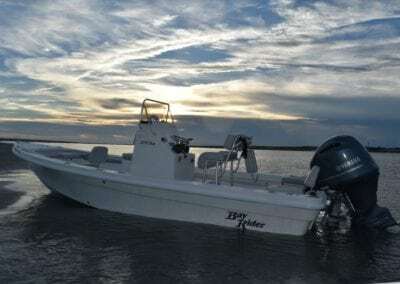 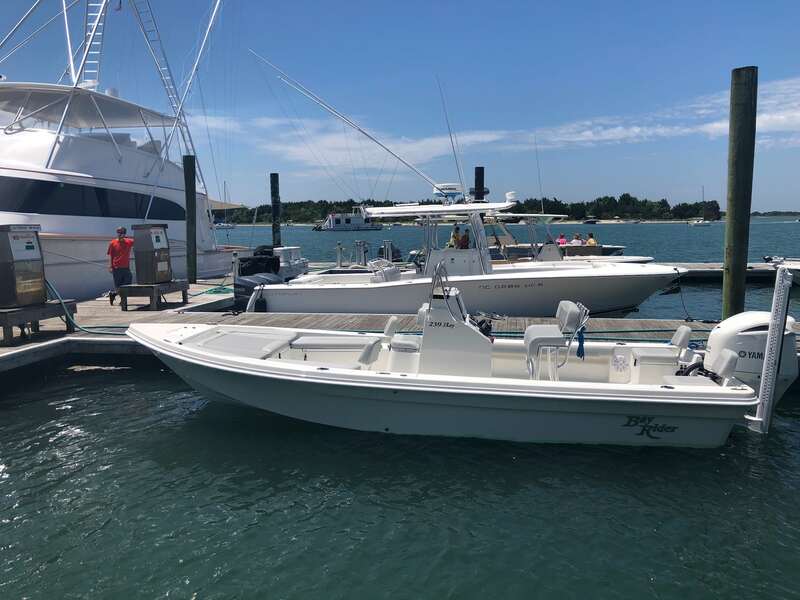 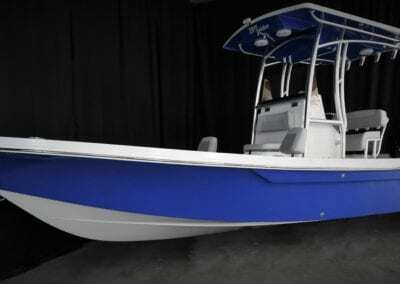 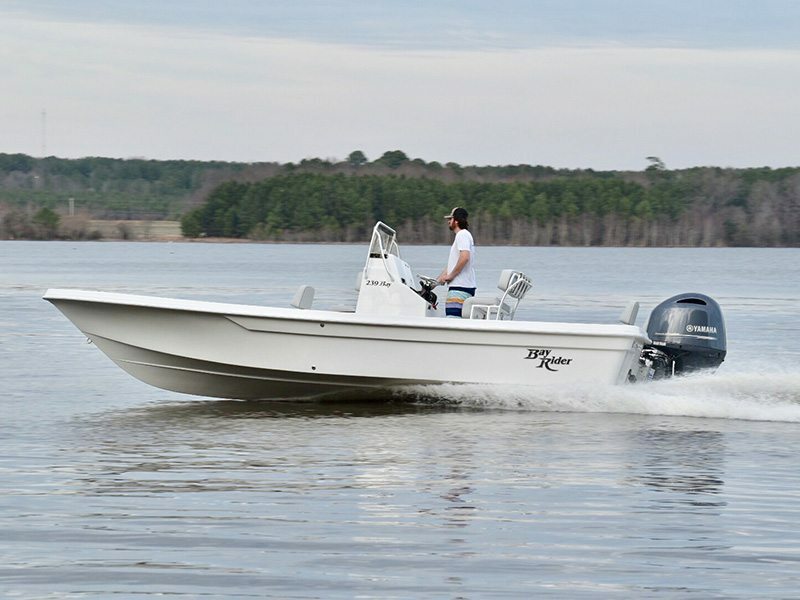 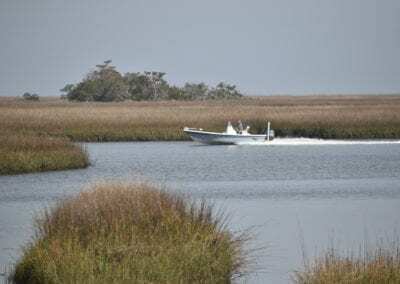 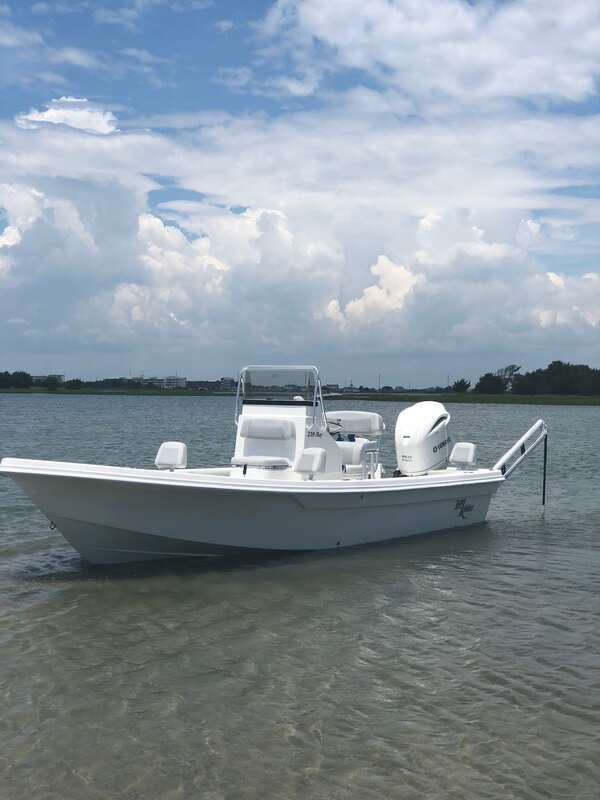 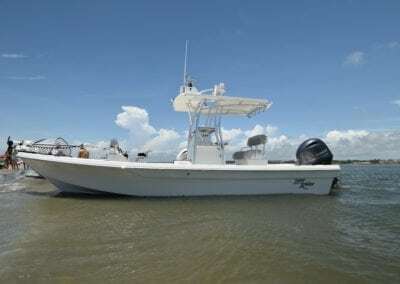 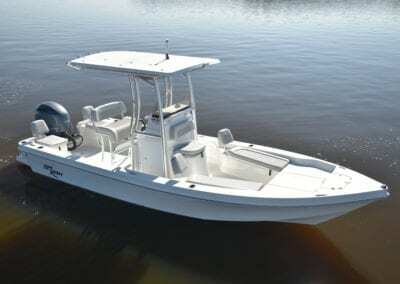 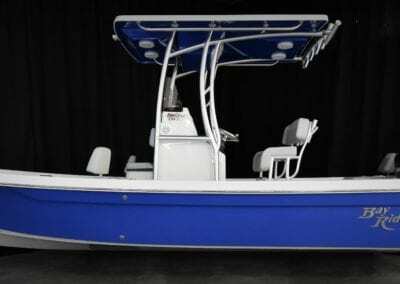 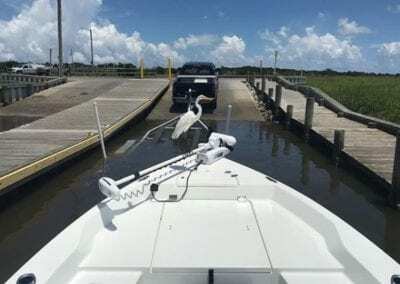 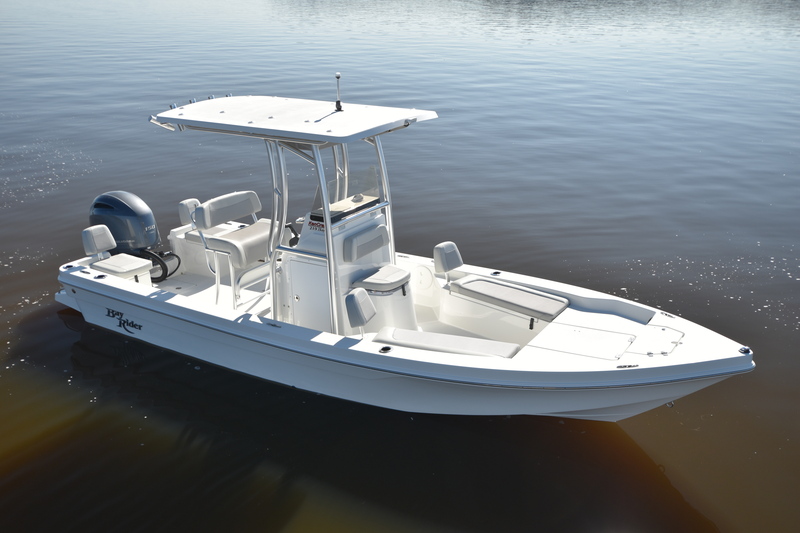 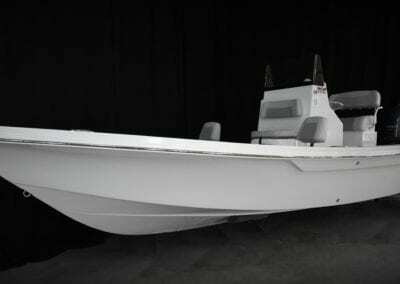 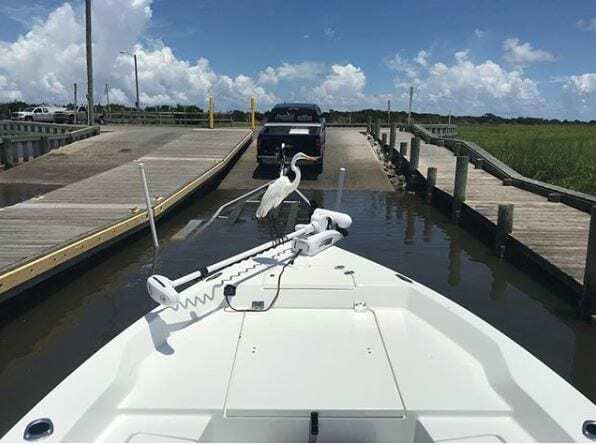 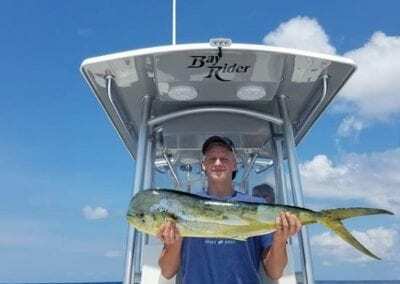 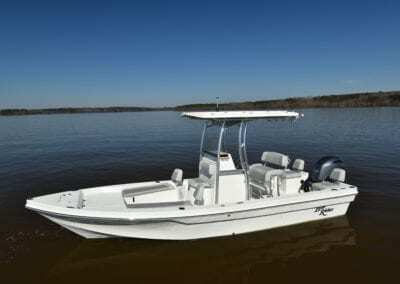 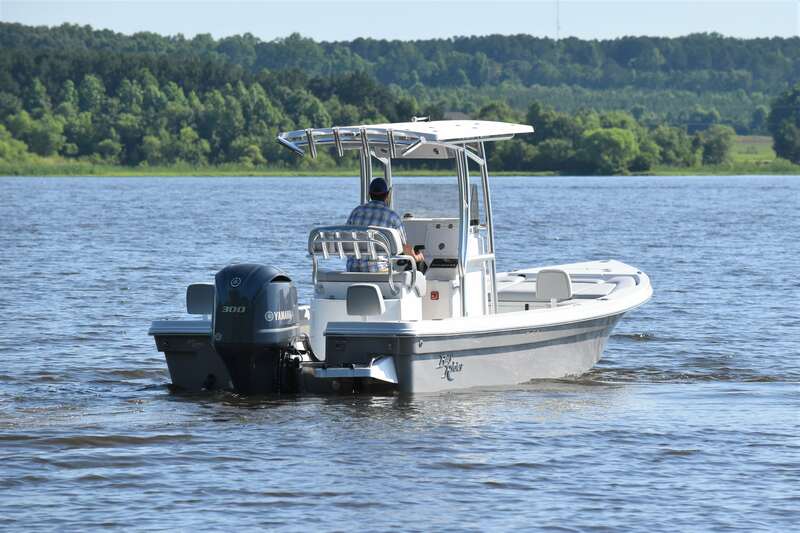 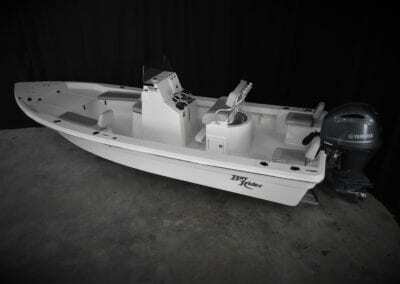 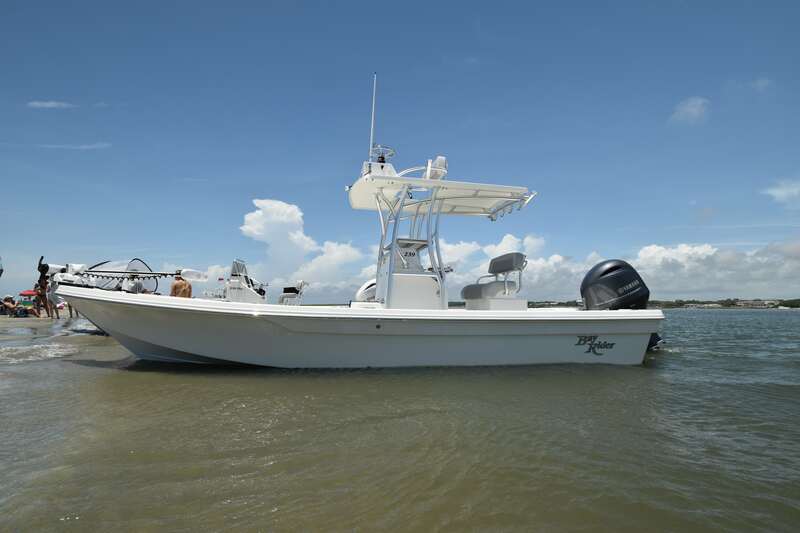 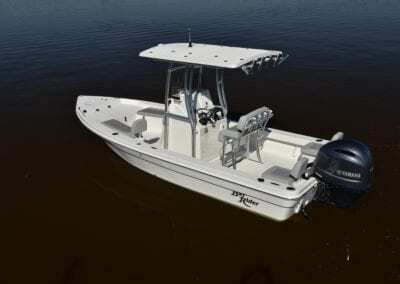 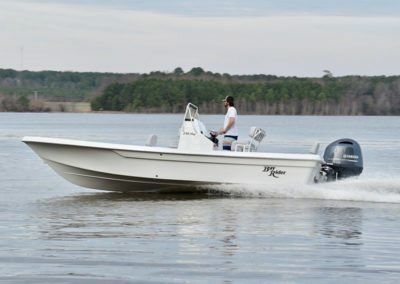 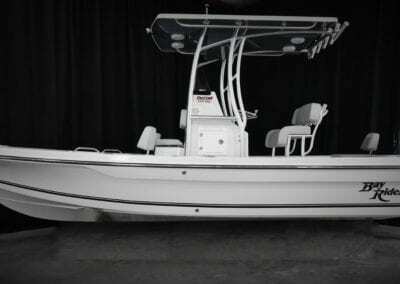 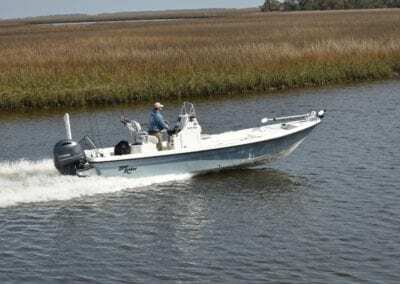 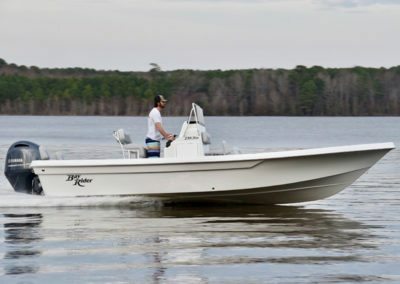 The Bay Rider Bay Series is the ultimate fishing platform because it has front and rear live wells, insulated fish boxes and storage boxes, a large foredeck for casting, and plenty of rod storage. Come see for yourself at one our dealers. 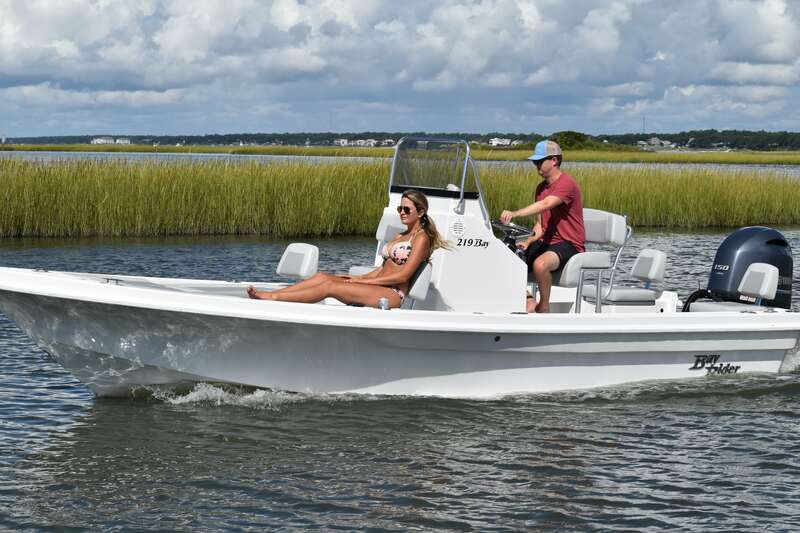 Every builder that sells Bay Boats will claim theirs is the best there is today. 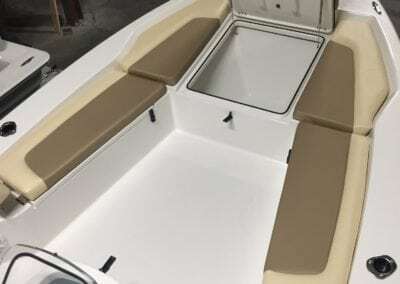 We think we have one of the very best Bay Boat platforms on the market for a few simple reasons. 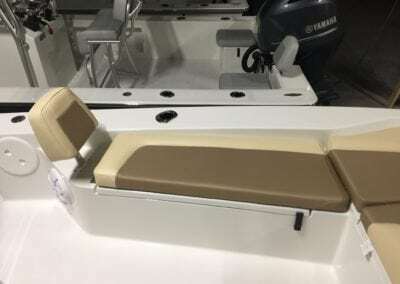 First is the ride of the hull. 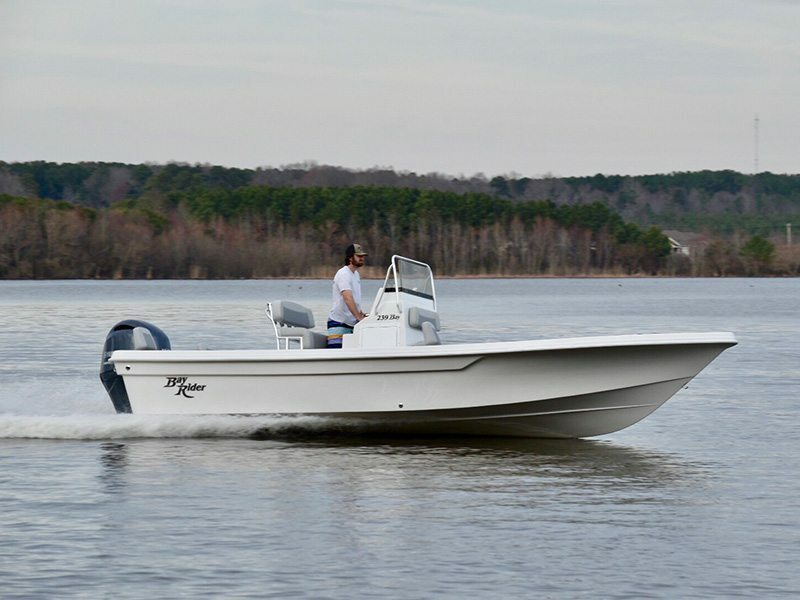 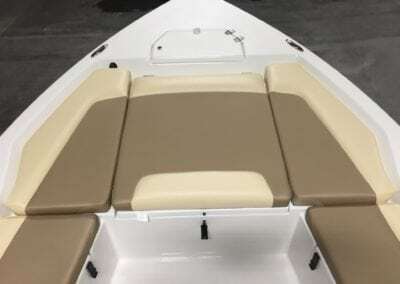 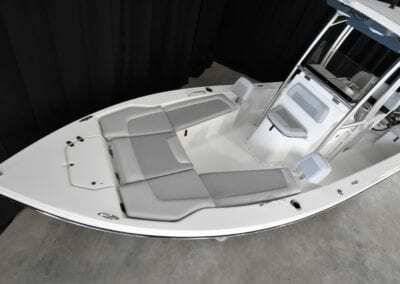 Bay Rider Bay boats are built with massive composite stringers below the deck to give support and stability to the boat, and we added a sharp deadrise up front and moderate deadrise in the rear to produce one of the best riding Bay Boats on the market. 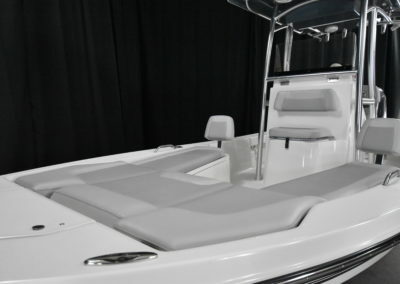 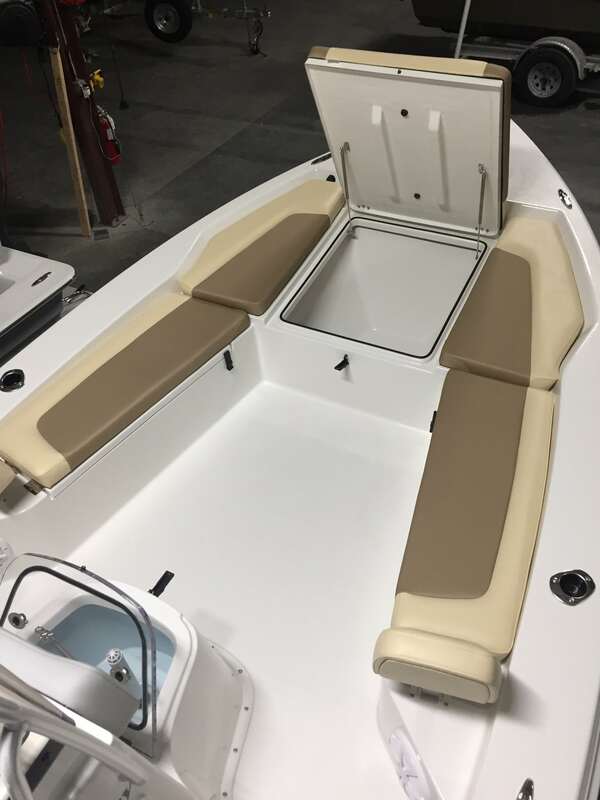 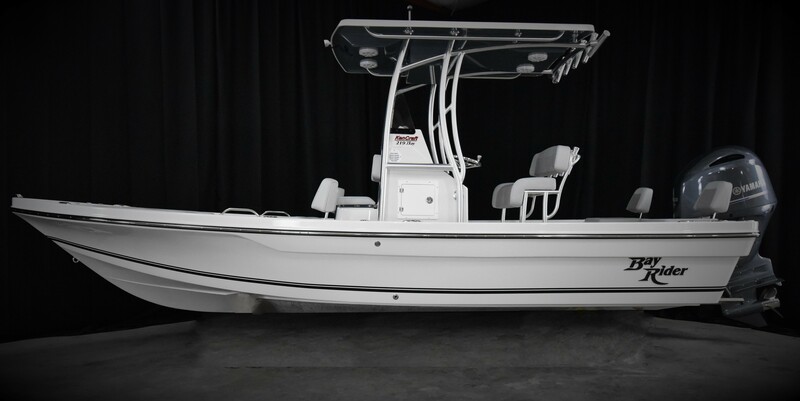 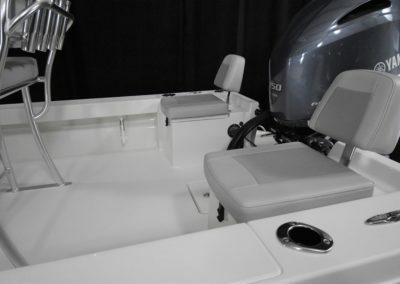 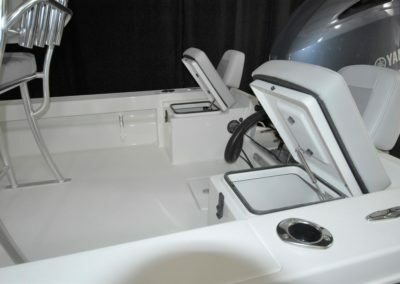 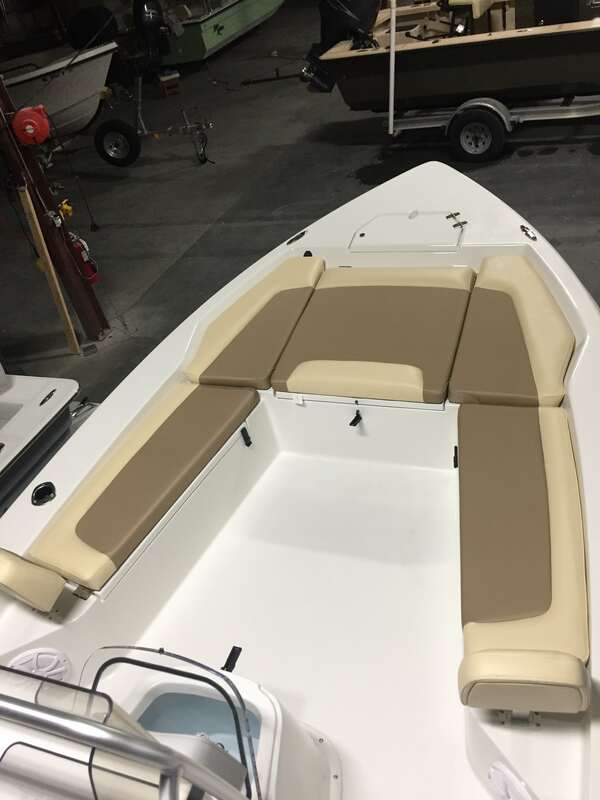 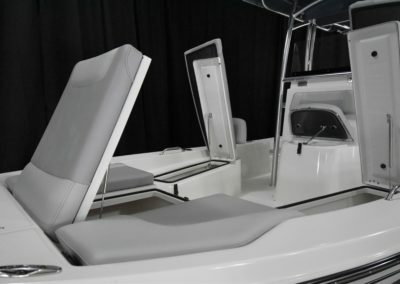 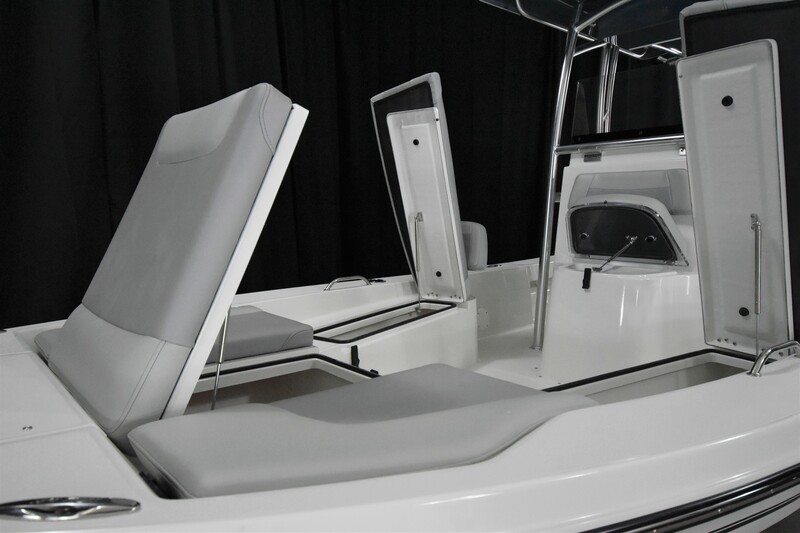 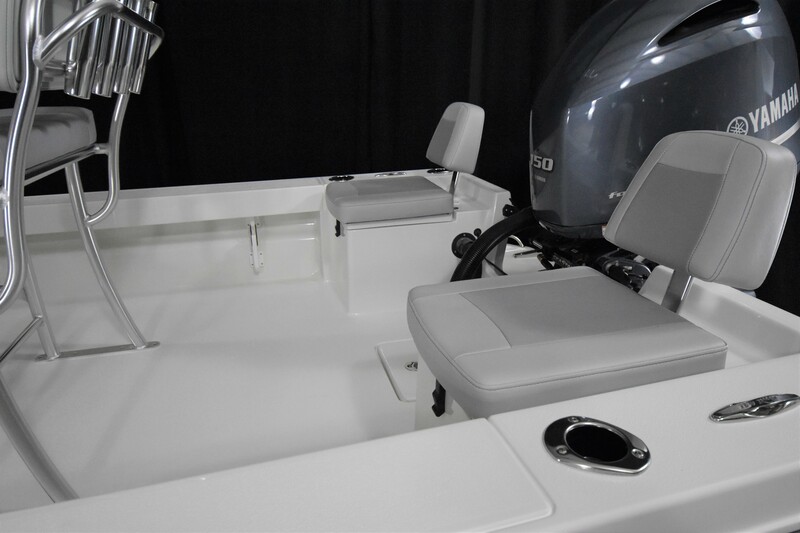 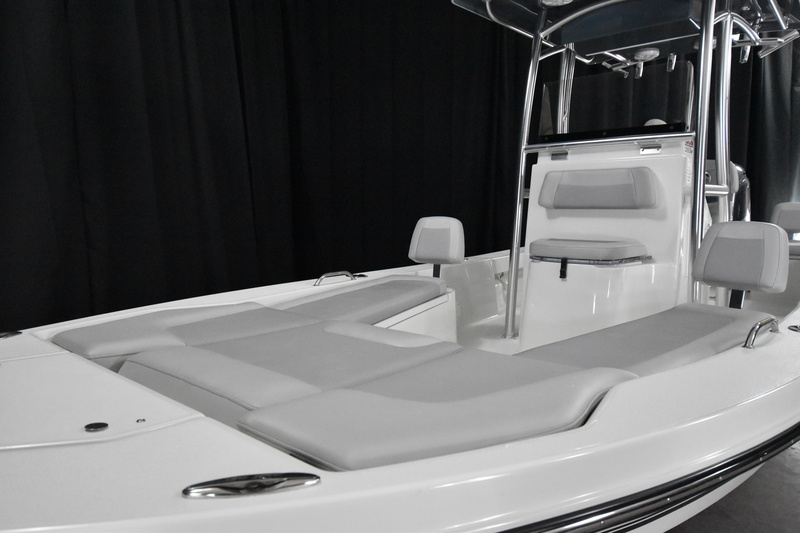 Second, we designed the boat to maximize fishing room for the angler yet we painstakingly added forward and rear seating for the family, so your Bay Rider Bay boat can serve dual purposes like no other boat in its class. 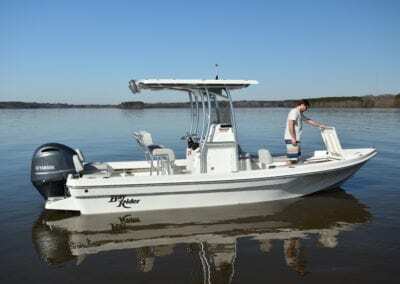 It is the best Fishing and the best Cruising Bay Boat in its class, in our humble opinion. Come see for yourself and take a test ride. 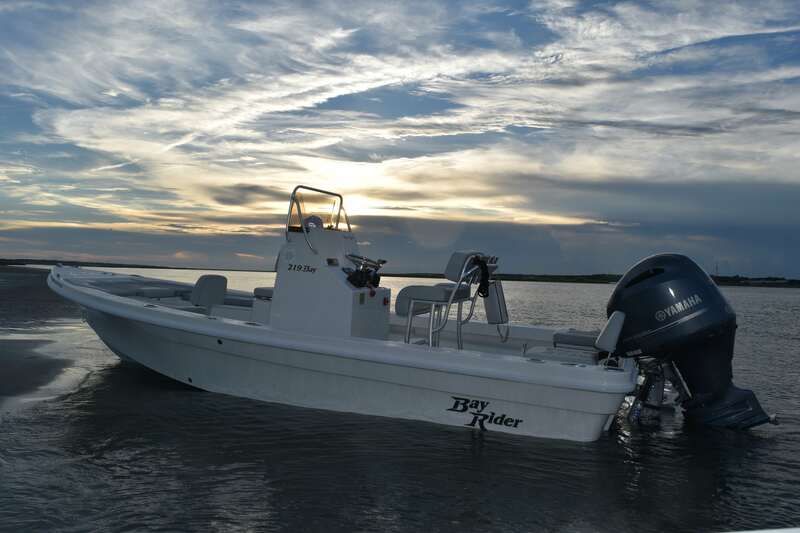 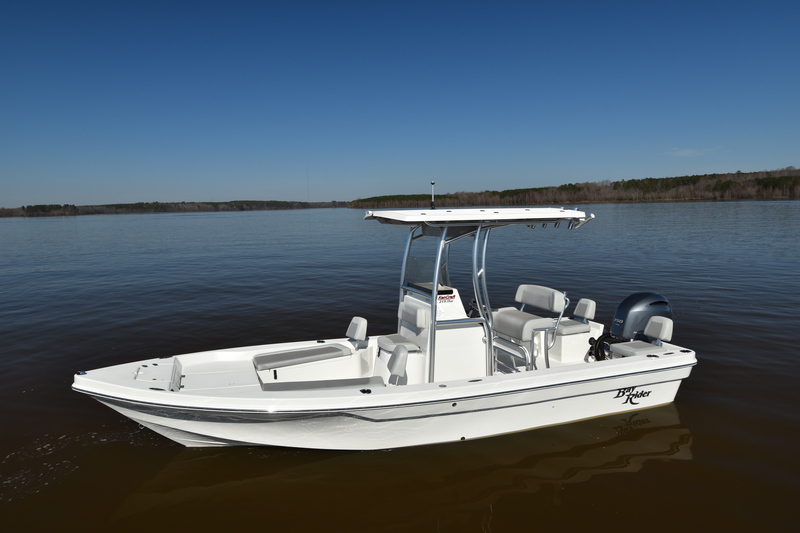 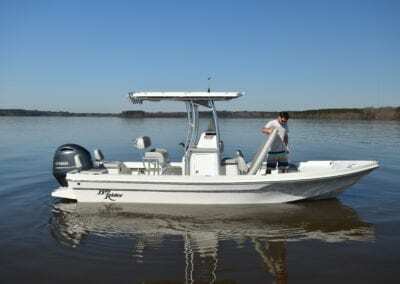 Bay Rider Bay Series boats are PowerMatched® Exclusive with Yamaha Outboards for performance. 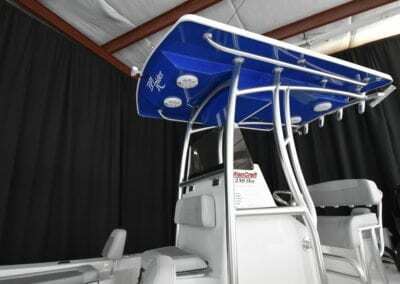 Click on a boat below to learn more about it. 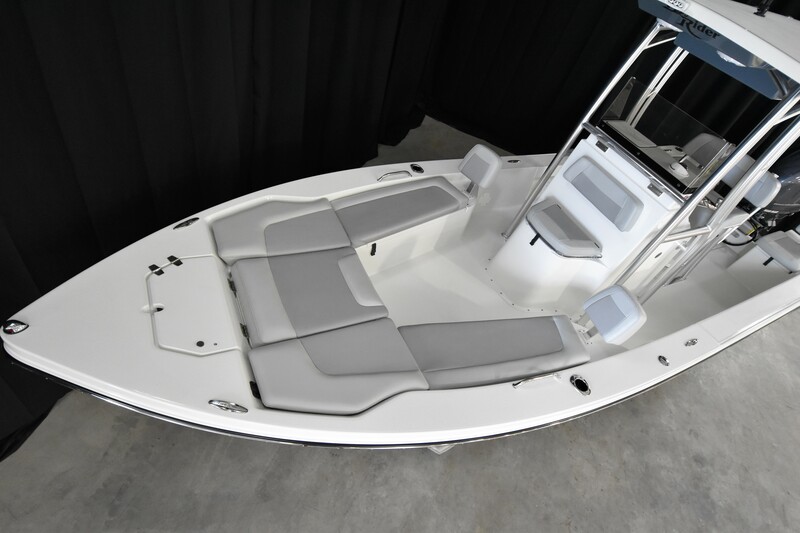 All specifications are approximate and subject to change at manufacturer’s discretion. 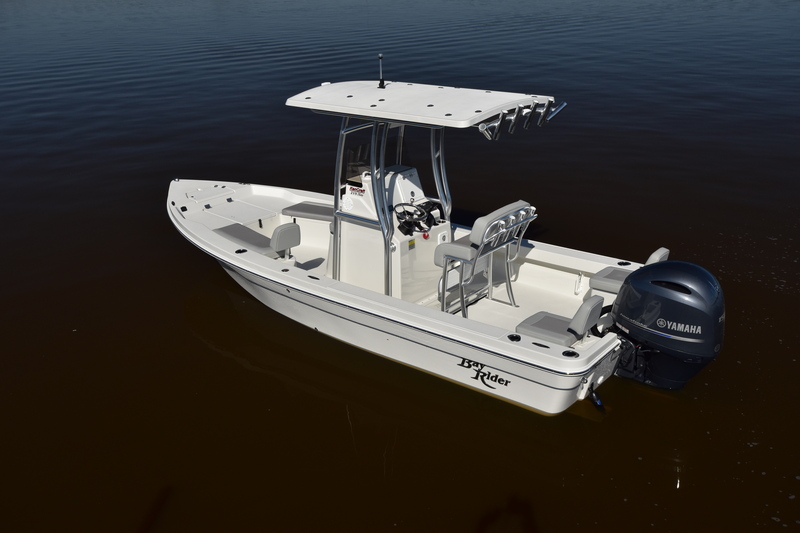 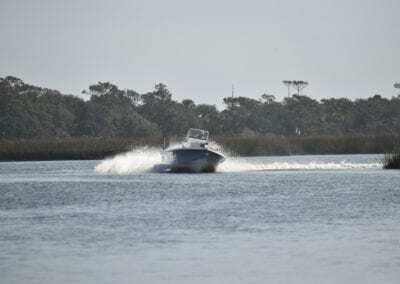 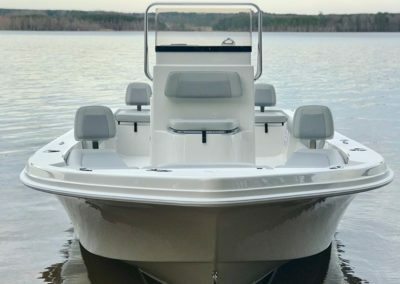 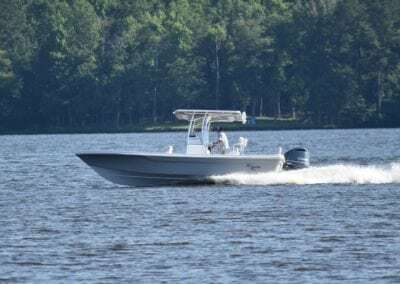 New from KenCraft Boats in 2018 is our Inshore/Offshore Bay Rider 239. 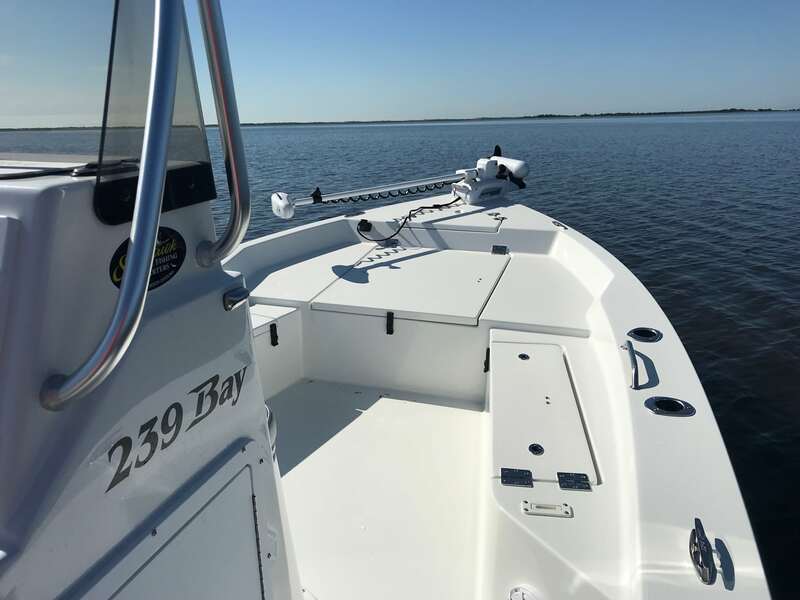 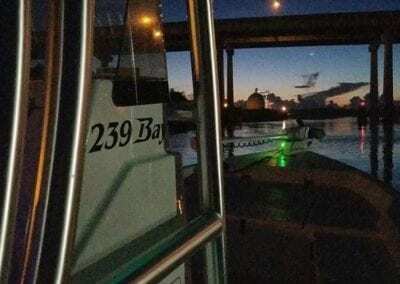 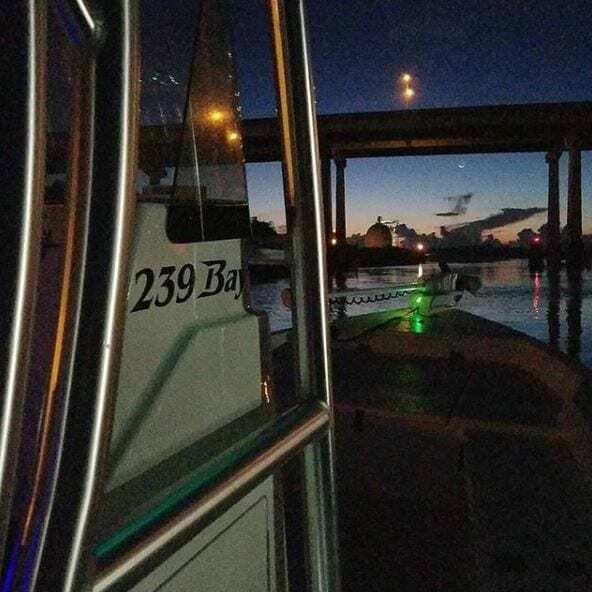 We designed our 239 for the avid fisherman that needs to fish the skinny water with a draft of 12 inches as well as the fisherman that wants to head offshore for some larger action. 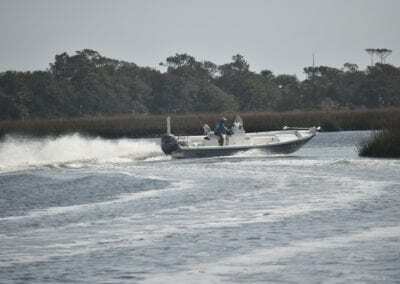 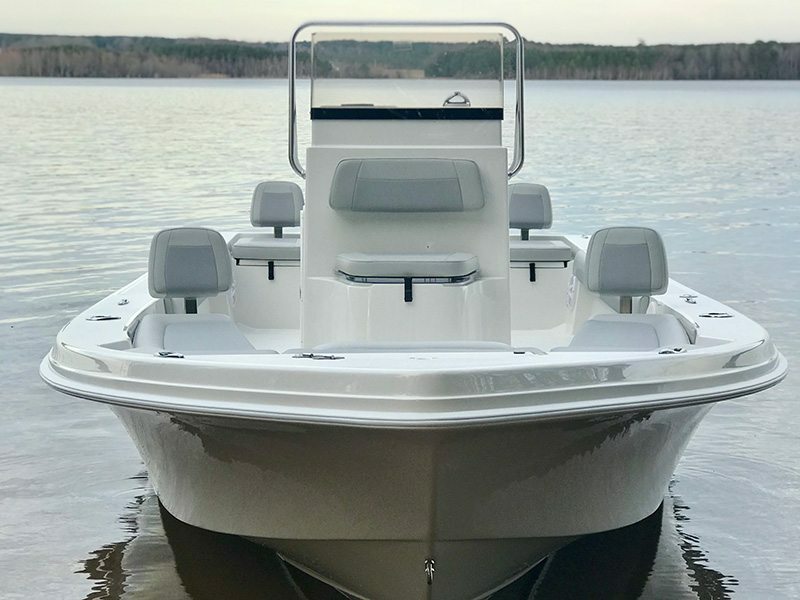 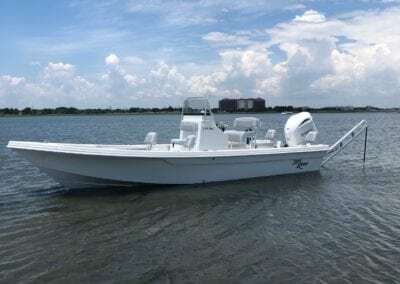 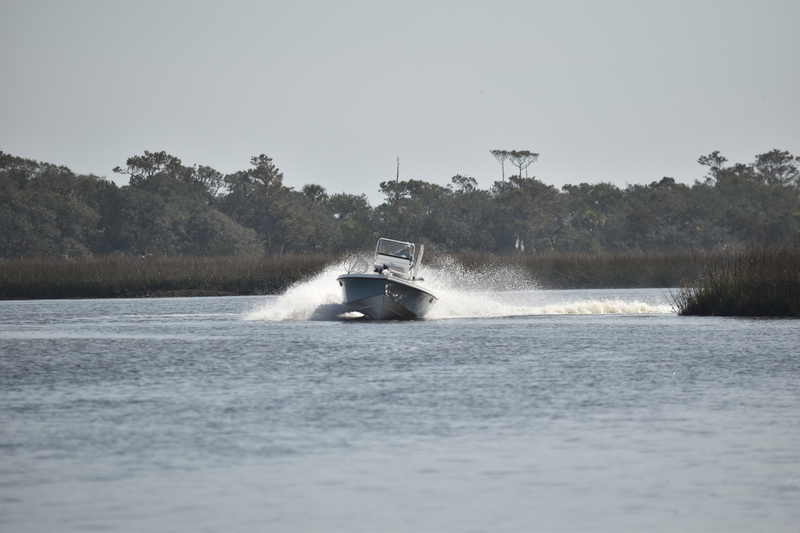 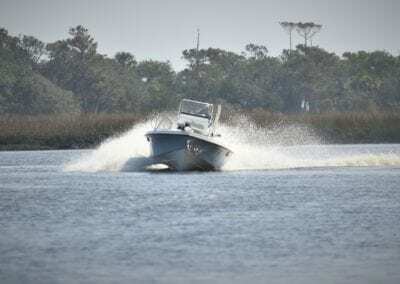 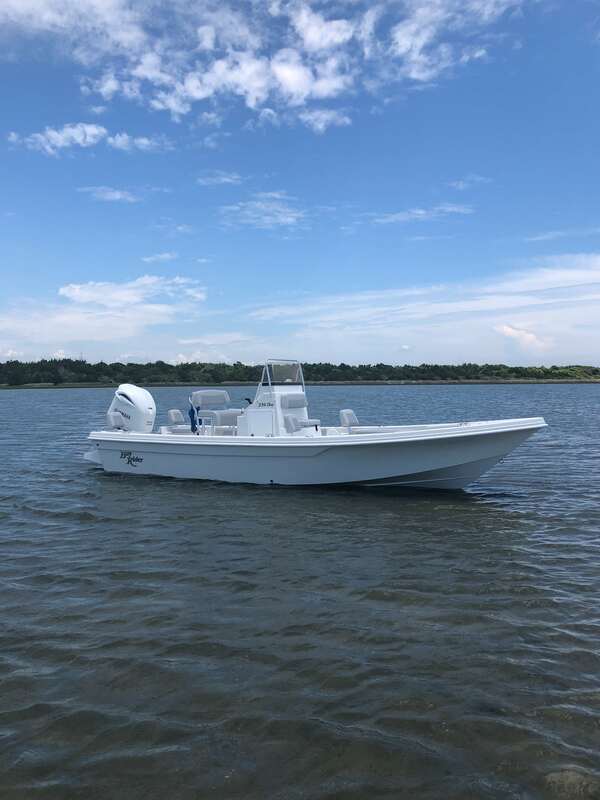 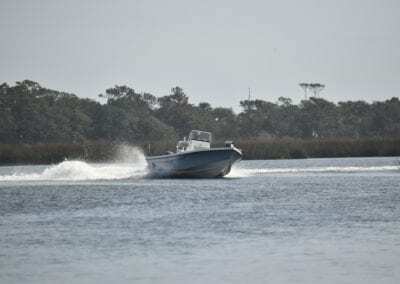 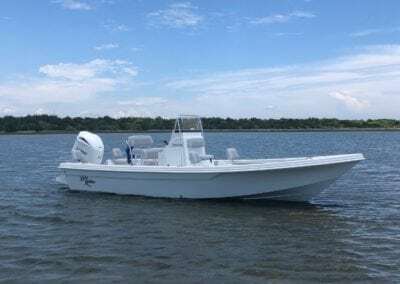 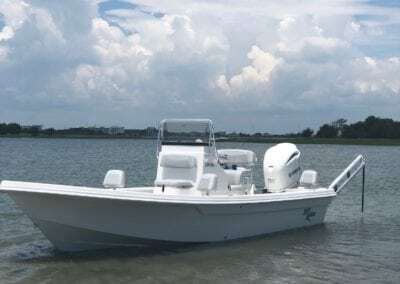 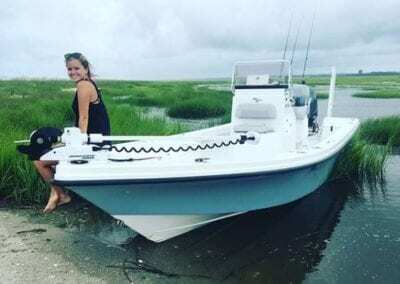 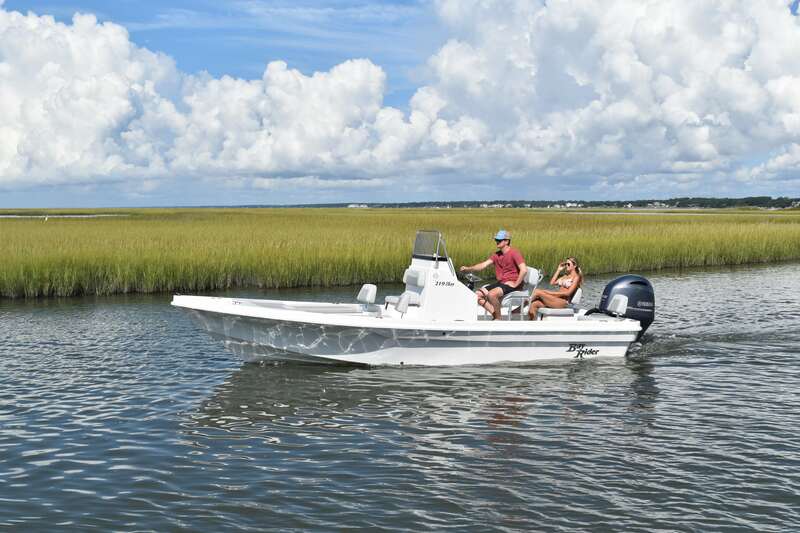 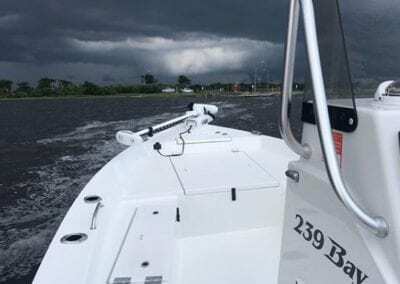 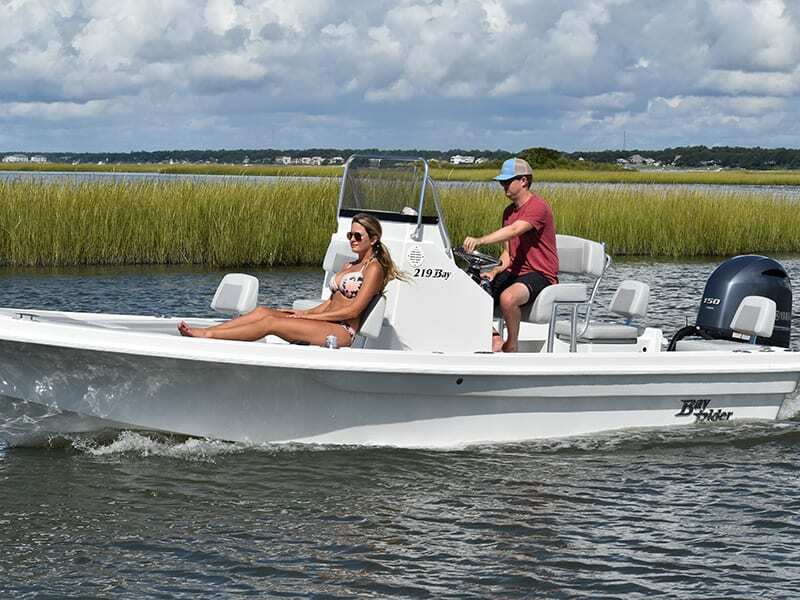 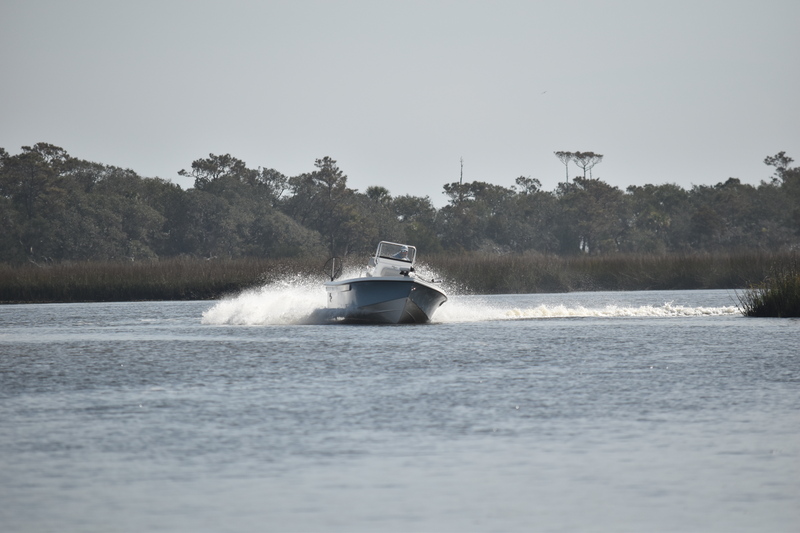 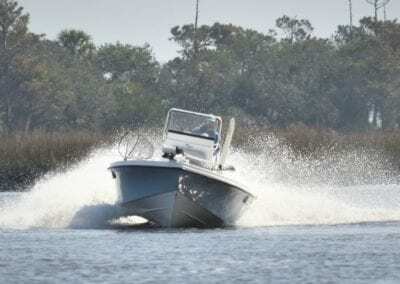 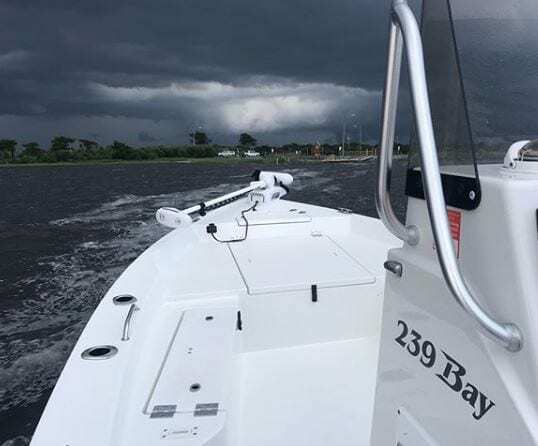 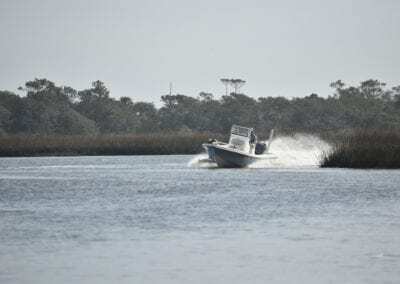 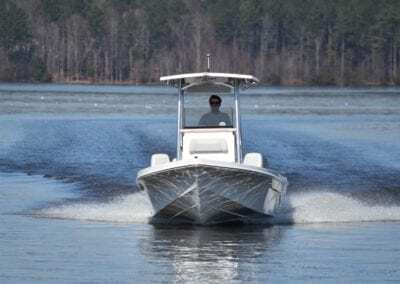 With a dead rise of 16° at the transom and 52° at our wide Carolina Flare bow, this boat can handle the rougher water you might encounter offshore. 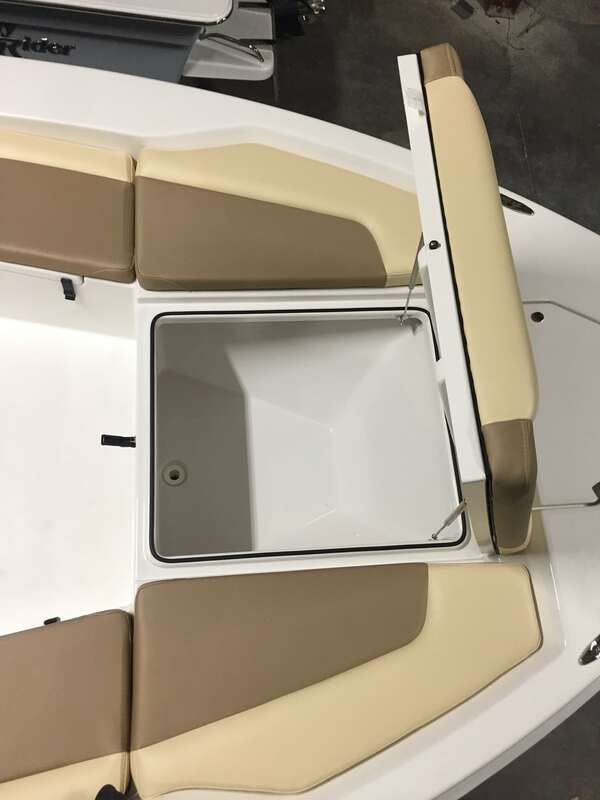 With higher freeboard than our previous model and a true self bailing floor, we have introduced a Bay boat like no other on the market today. 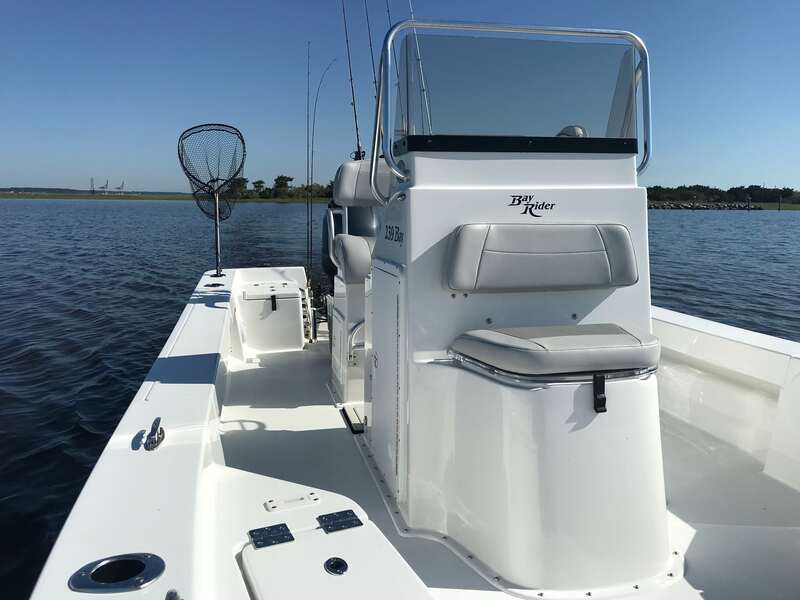 Combine these fishing features with the comfort features the family desires for a cruising boat, and you have designed the perfect combination of a family cruiser and multipurpose fishing boat. 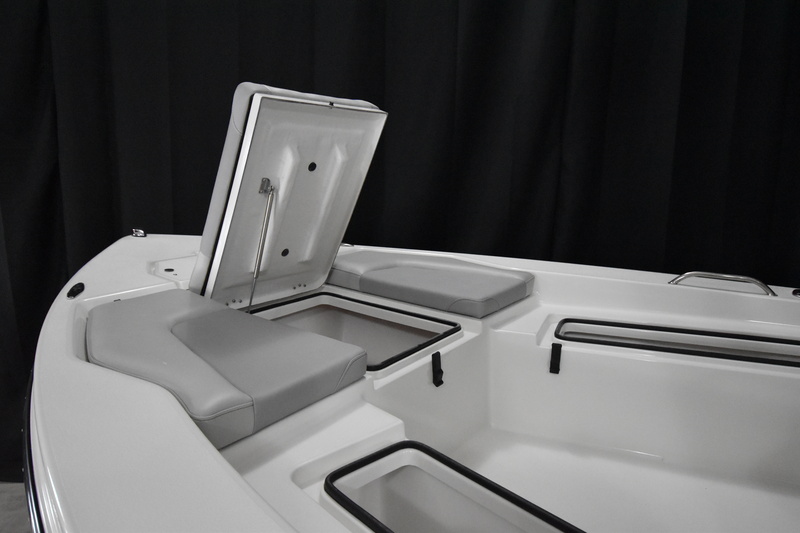 We have new deluxe forward seating with flush mounted backrest brackets unlike our competitors. 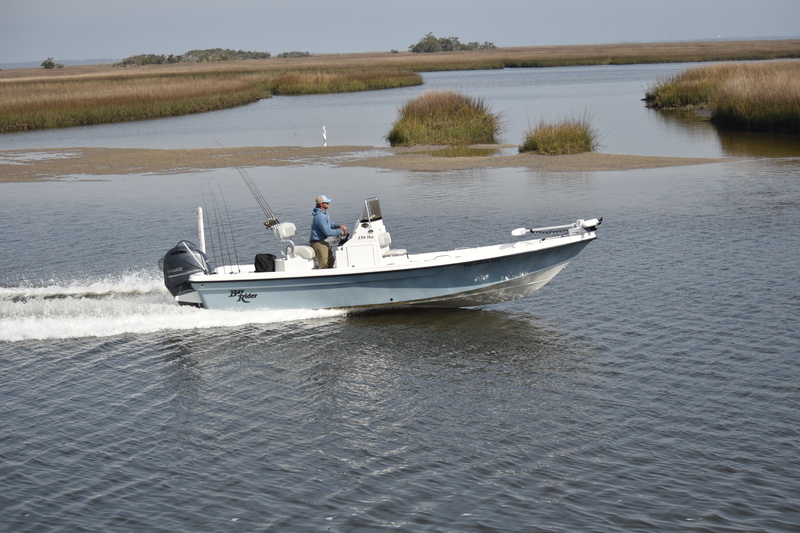 We have a large casting deck up front with plenty of room to fish. 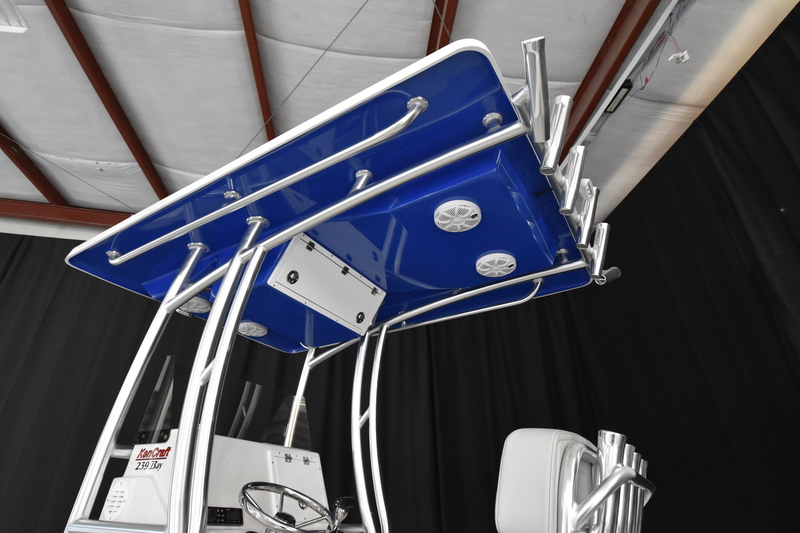 New for 2018 is under gunwale rod storage for all of your favorite rods and the new wider gunwales make room for our Mate Series combination rod and cup holders. 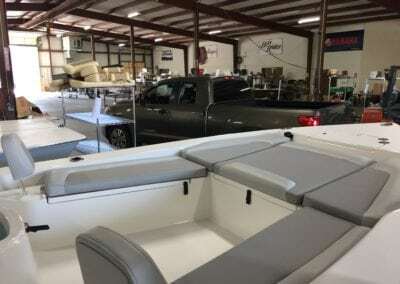 You can install as many as you want. 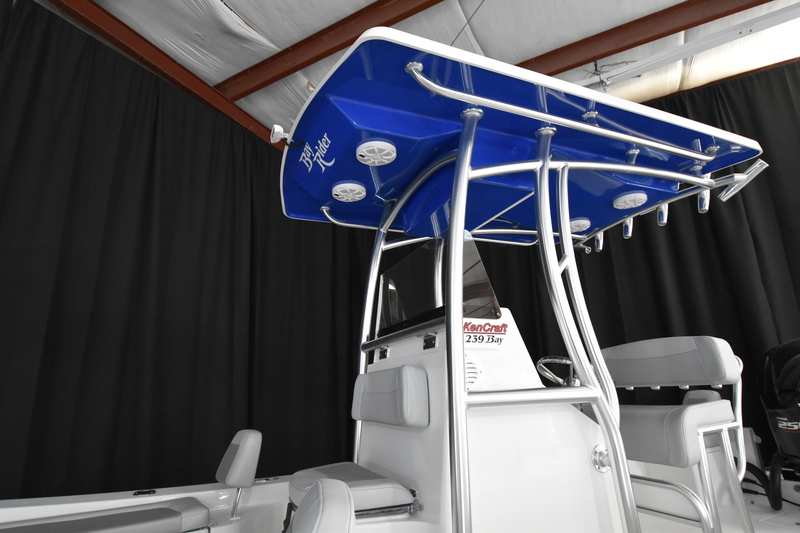 The trolling motor is mounted on the upper deck where we have a new integrated anchor locker to hold the large FX-7 aluminum anchor. 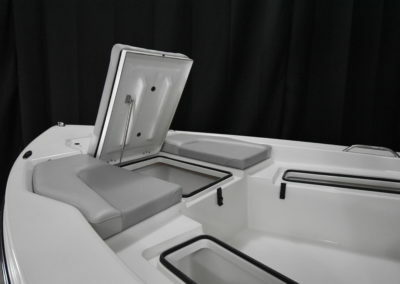 The forward seats/fish box coolers are fully foamed to hold ice for long periods of time, and they drain overboard. 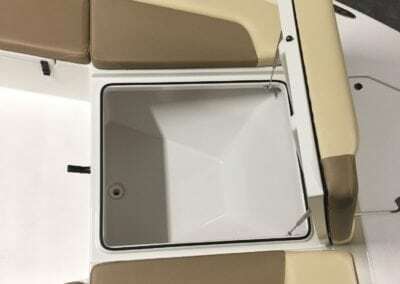 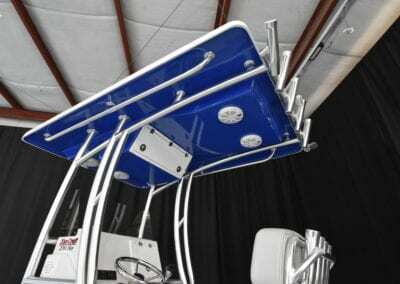 The seat lids lift vertically on 316 stainless gas struts to allow easy access to the drinks or the fish. 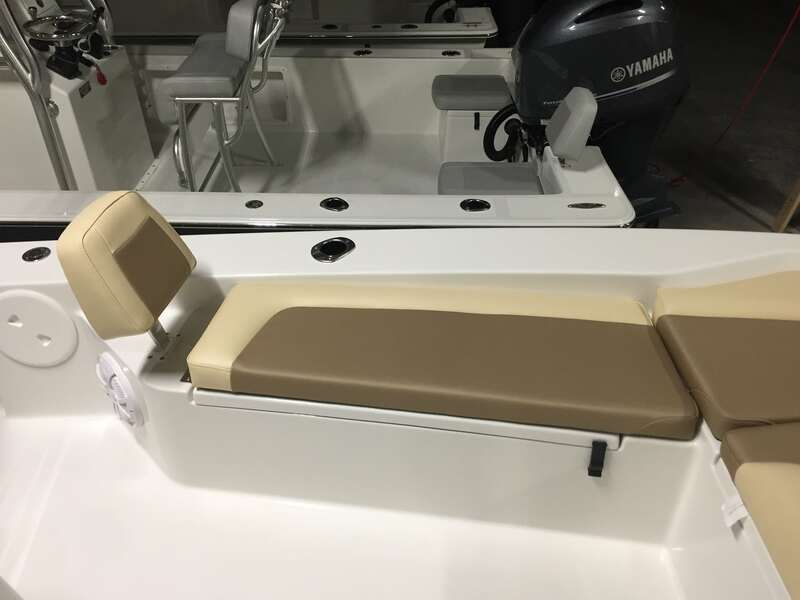 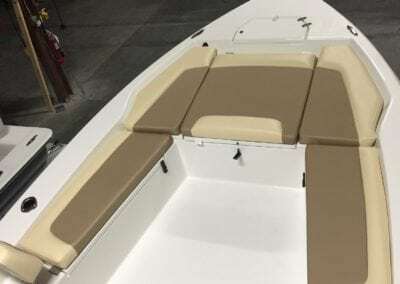 The console houses a 15 gallon livewell and the New Optional 45 gallon fiberglass livewell leaning post is compact yet allows for comfortable seating for two. Rear jump seats add additional seating for cruising. 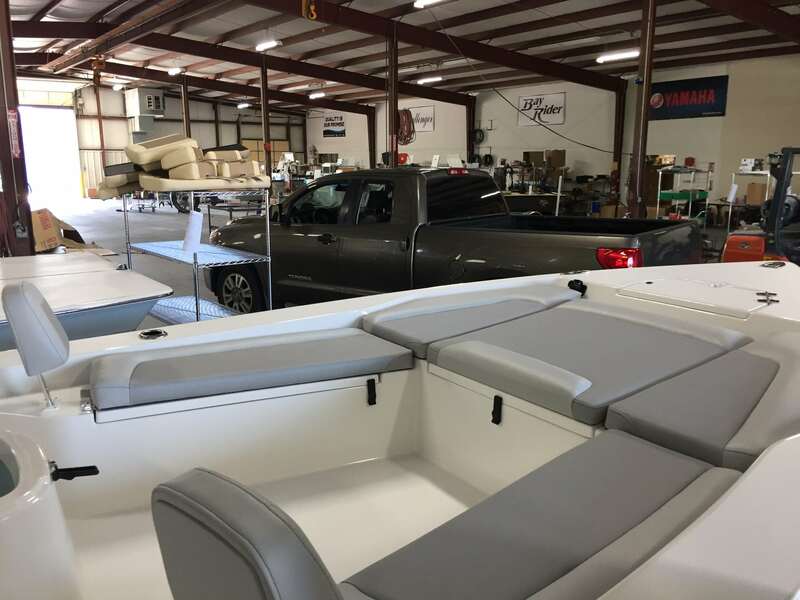 Our facility consists of over 52,000 square feet of modern manufacturing space that occupies 5 acres of land. 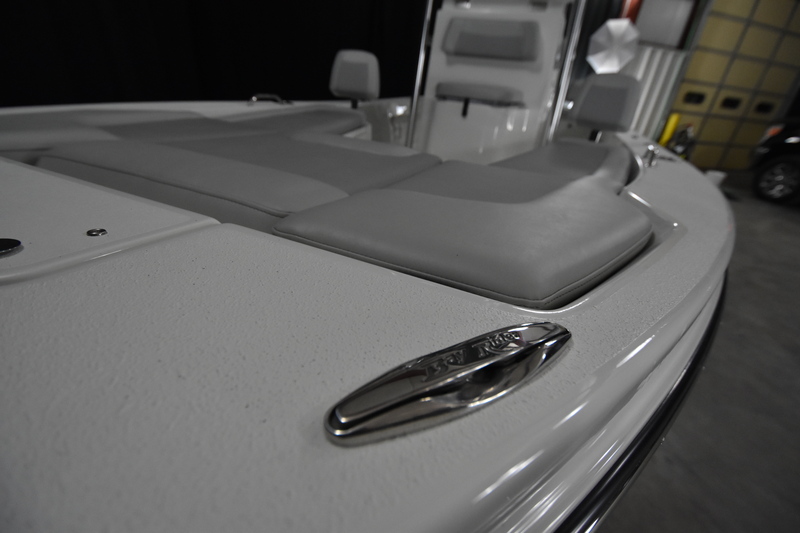 Come take a tour of our plant and see how we build our boats to last you a lifetime. 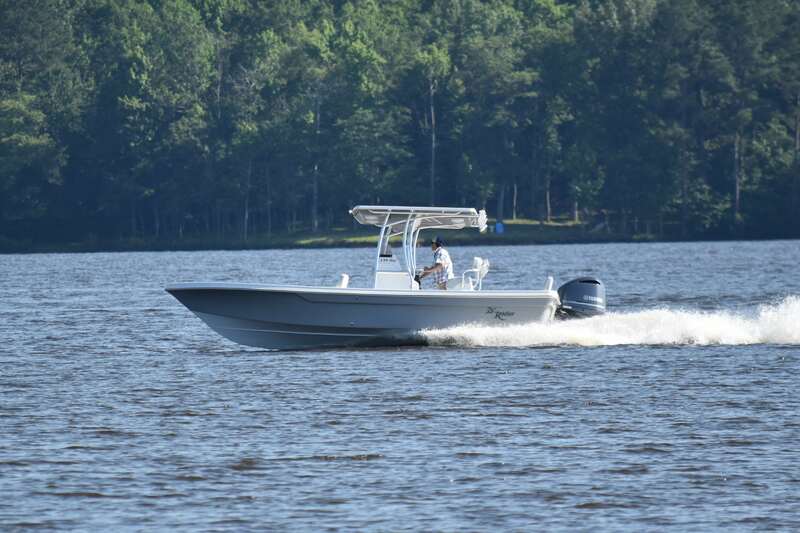 Contact one of our many dealers to begin enjoying the water. 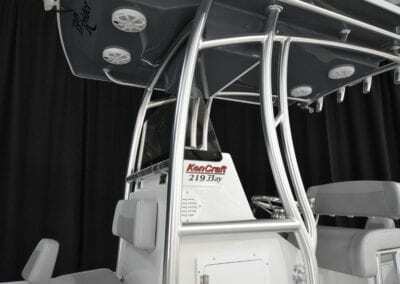 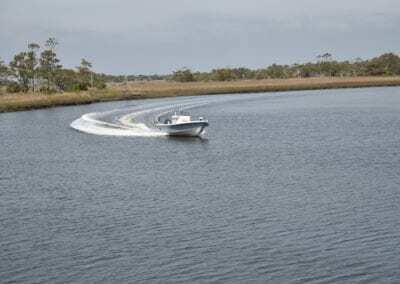 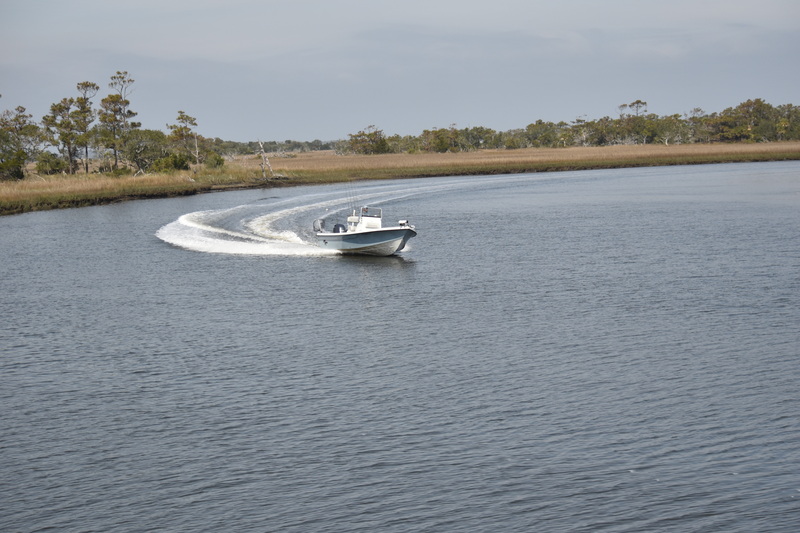 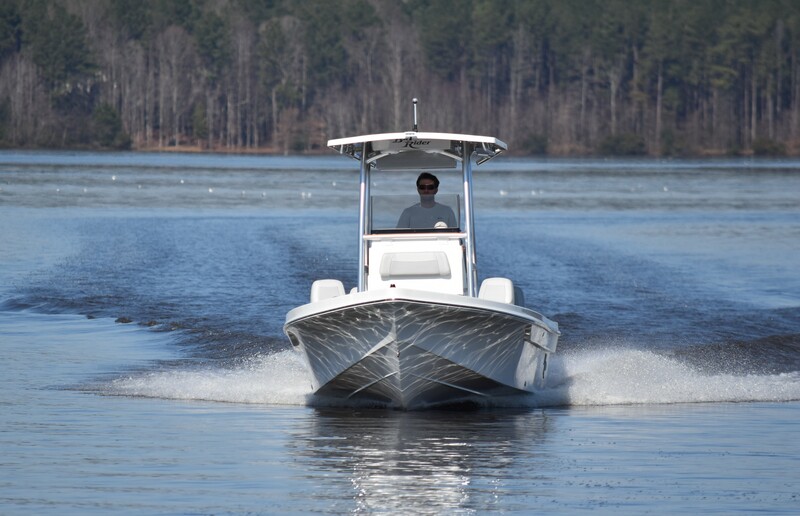 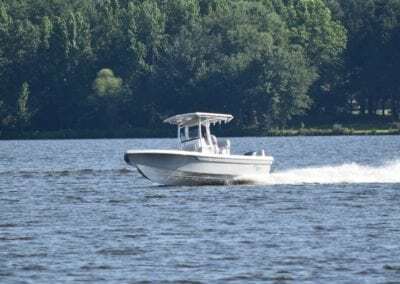 KenCraft Boats have been proudly manufactured in Wilson, NC for over 45 years and has been independent and family owned from the beginning and still is today. 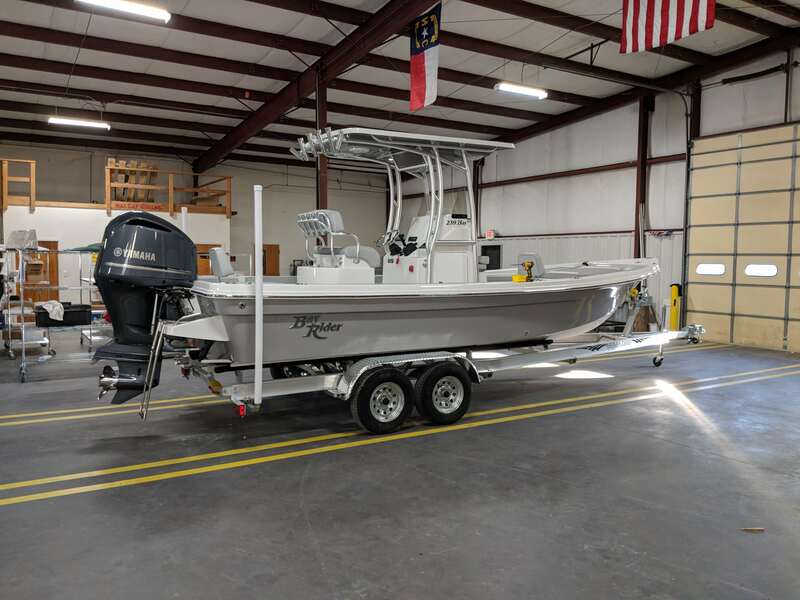 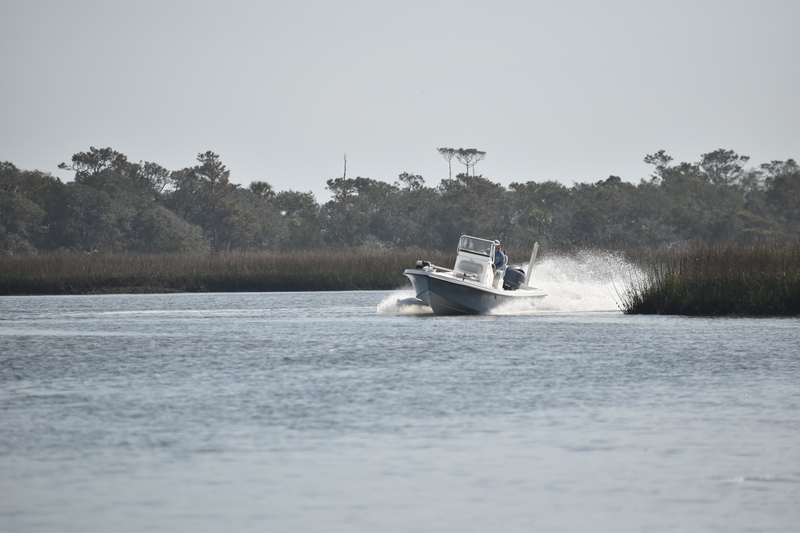 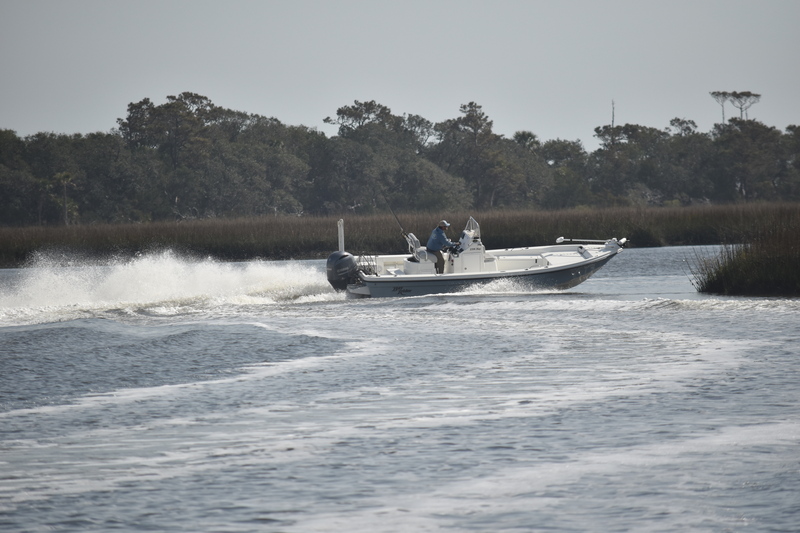 We take great pride in building the finest inshore and offshore boats that incorporate the latest materials and workmanship. 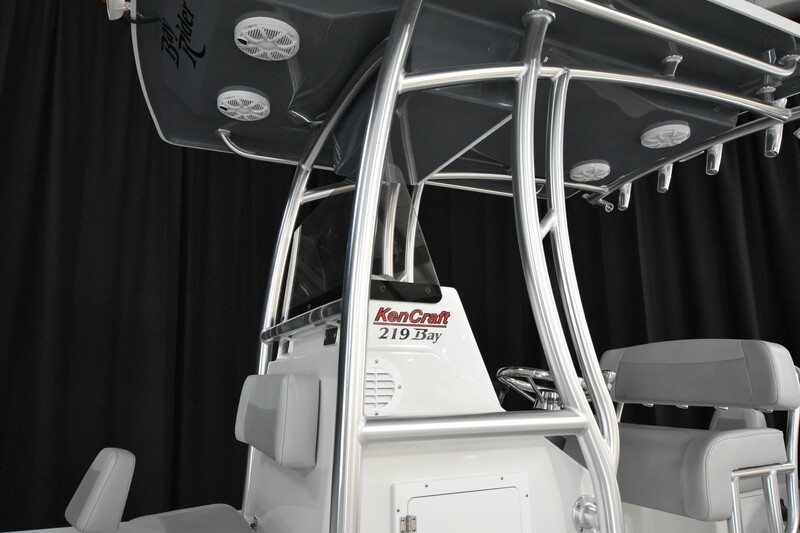 Each boat is carefully constructed by experienced craftsmen that have been part of the KenCraft family for many years.